I can’t believe my daughter celebrated her 5th wedding anniversary already. So much has happened in the last 5 years. All good though. She now has two children and a new job she enjoys. 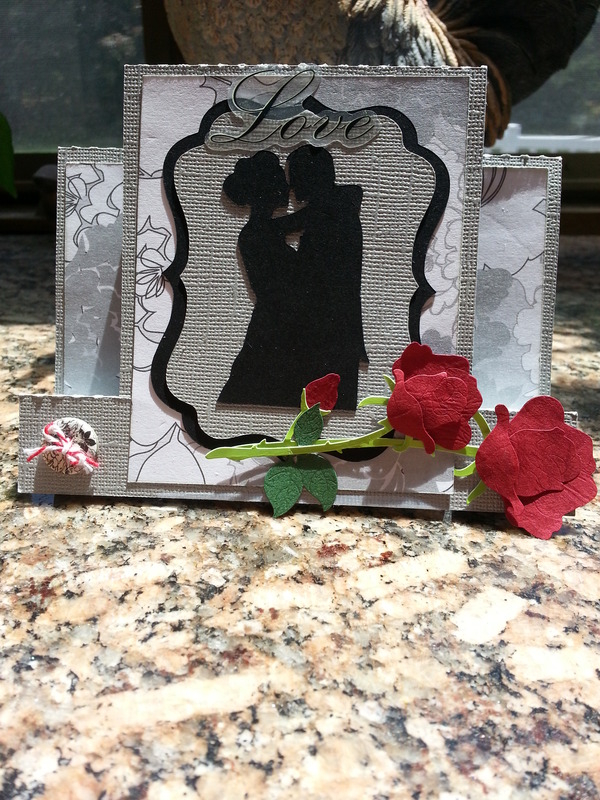 Here is a card I made for her using my silhouette cameo and a step card from their on-line store. The paper is from a wedding pack I purchased at Michaels.